Werner's Cairns blog: The possible reasons why there is so much trouble in the world today. The possible reasons why there is so much trouble in the world today. 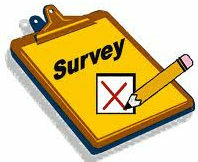 Following are the results of a WORLD SURVEY BY PHONE, conducted by the UN. The only question asked was: "Would you please give your honest opinion about solutions to the food shortage in the rest of the world?" 8. In Australia they hung up as soon as they heard the Indian accent. People born between 1960 and 1979 are called Generation X. And people born between 1980 and 2010 are called Generation Y. 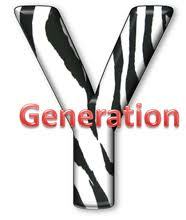 Why do we call the last group Generation Y. The cartoonist explained it very eloquently on the right. I found that “survey” very interesting and thanks for the chuckle. Of course, Australians remember the Indian telemarketers too well and I’m not surprised that they hang up when hearing an Indian accent on the phone. Thank you for enlighten me about the Y generation, however, I was also born in that time span, so I practically belong to the Y generation, but the criterion given doesn’t apply to me. I have a job, live in my own flat, have my own car, clean my room, wash and iron my clothes and buy my own food. And, furthermore, I wear my pants high enough to cover the Y. Is wind power just a lot of hot air?